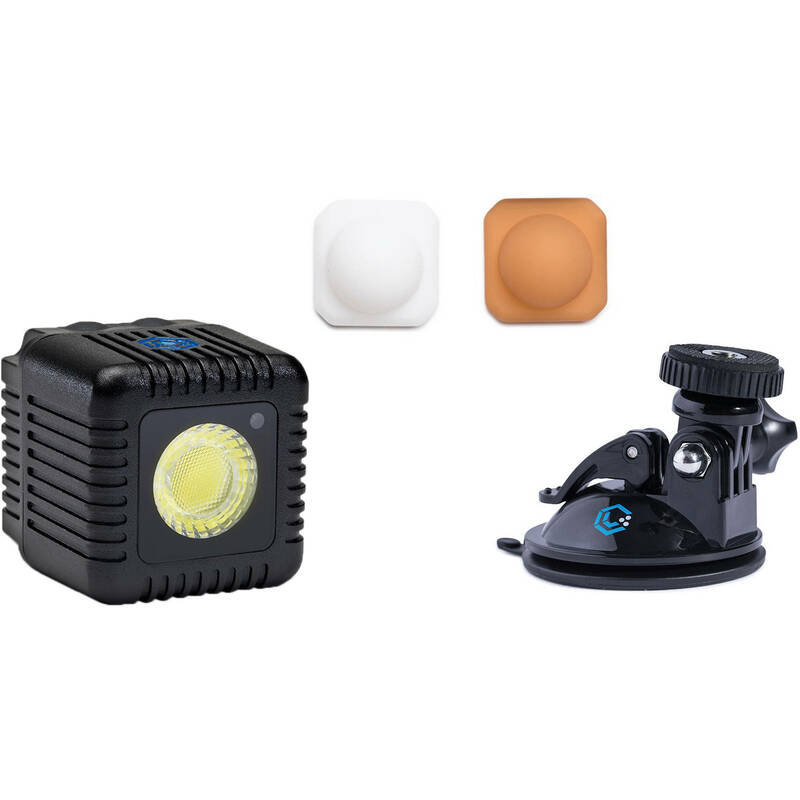 Ultra-compact, 30' waterproof, magnetic, and including a suction cup mount the Lume Cube AIR VC Lighting Kit for Video Conferencing is a highly versatile LED light suitable for numerous applications. The suction cup allows it to grab and hold onto flat-smooth surfaces. Combined with the buil-in magnet, the suction cup mount extends the places you can stick this light for maximum effect. The Lume Cube AIR is smaller and about half as lightweight as the original Lume Cube and has a rubberized grip exterior. 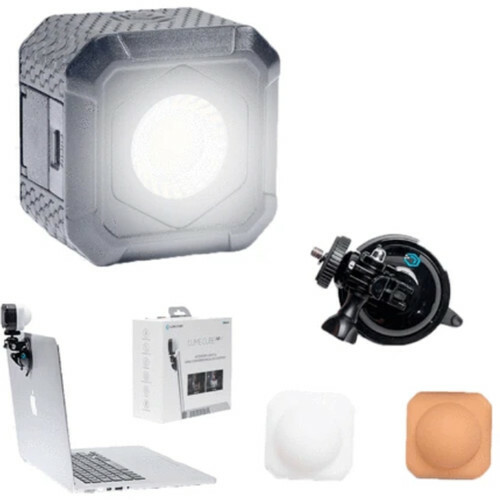 It features a 5600K daylight color temperature with a 90+/- CRI rating, and provides 400 lux brightness at 3.3' in a 60° beam angle. The lens is custom-designed to deliver smooth falloff and extra push. A white diffuser and warming diffuser are included for achieving different tones of light. Note: Because of the built-in magnet, the Lume Cube AIR is not recommended for use on drones. Box Dimensions (LxWxH) 6.0 x 5.7 x 2.7"